Assisted living accommodations are also available if the need for a higher level of care ever arises. Future Living Charitable Fund is a nonprofit entity. Its charitable nature and agenda reflect the security of well-being of seniors in need. Subject to availability of funds, this entity can act as a parachute fund to safeguard a member due to an unexpected and unavoidable hardship. Below are a few examples of how a Future Living Home could appeal to you and where you are in life. The possibilities are endless, but please take a look at the examples and realise how a Future Living home could meet with your needs now and in the future. With limited supply, if living a future Living Homes Resort appeals to you and you have your eye on a particular location then consider buying a Future Living Home now and renting it out until it is your time to move in. With the flexibility of a Future Living Home, you actually have three separate prospective markets to rent your home. Rent out one part and keep the other to stay in for family vacations or Summer home. Rent out both parts separately. Perhaps one part as a long term rental and the other as short term vacation rental. Rent out the whole of your home as a long term rental. The number of homes in each Future Living community is strictly limited because of the locality of the services being provided within the community. Perhaps your children are getting older and you will soon have an empty nest, or perhaps you are still enjoying a larger home right now that might become harder to maintain in the future. You want to establish yourself in a community with friends and roots and never want to move house again. Future Living Homes are three homes under one roof. You can live within the whole home until the time comes to downsize. There are several ways to downsize in a Future Living Home without the need to move. Your children are now young adults, they can move to the smaller part of the house for their first taste of independence. You can move to either part of the house (larger or smaller), freeing up the other part for vacation rental or long-term rental and the income from that. You may have other plans and your plans might change, but a Future Living Home gives you much more flexibility to allow your home to adapt to your changing lifestyle…without the need to move. Perhaps you see a time in the future where an older relative will no longer be able to support themselves in their own home or they might just want to be closer to you. How beautiful to have your parents living with you without compromising their privacy, that they have become used to, nor compromising your own life by introducing more people to your house. Future Living Homes offers independent living to your parents without intruding on your lifestyle. One door away from enjoying each other and helping each other. With some young families finding it hard to get started on the housing ladder, Future Living Homes give the ability for a family to join together and buy a single home. One family under one roof with a door that allows the family to stay separate when they want to and join together when they want to. 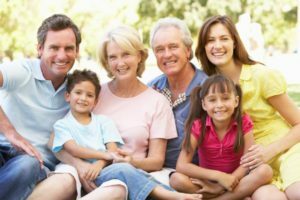 Apart from the financial benefits, imagine Grandparents living in the same house as their Grandchildren, with the privacy and independence that each part of the family might need from time to time. 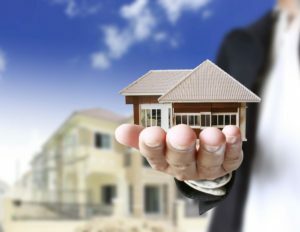 ** The Real-Estate market fluctuates, so Capital Gains cannot be guaranteed, but the Real-Estate market adheres to supply and demand.